DONATE to help the RoboTar cause! 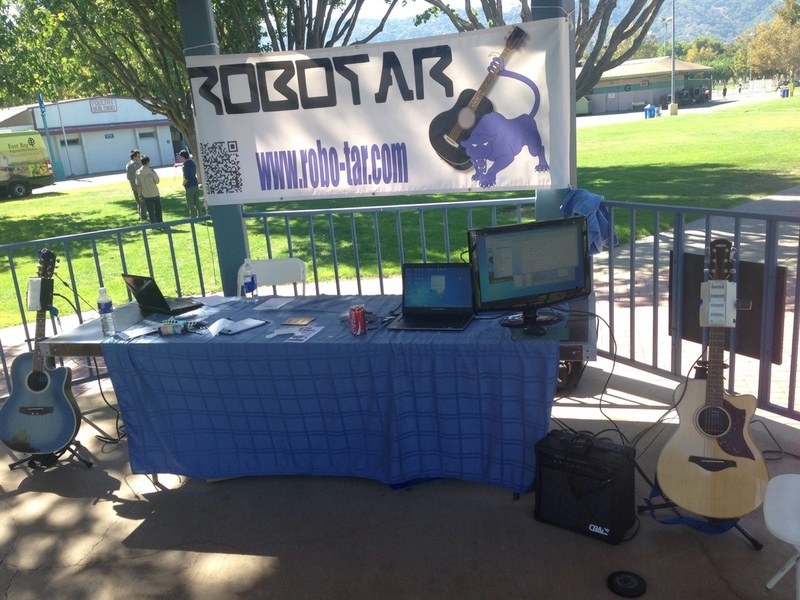 RoboTar had a great booth at the first annual Boy Scouts of America STEM (Science, Technology, Engineering and Math) Encampment where we were part of the Technology track. Nearly 3000 Kids and parents from all over California came to play RoboTar (among other very cool things) and enjoyed the mash up of technology and music in our outdoor gazebo stage. Popular songs the kids were playing included Happy by Pharell, Pompeii by Bastille and Story of my Life by One Direction. 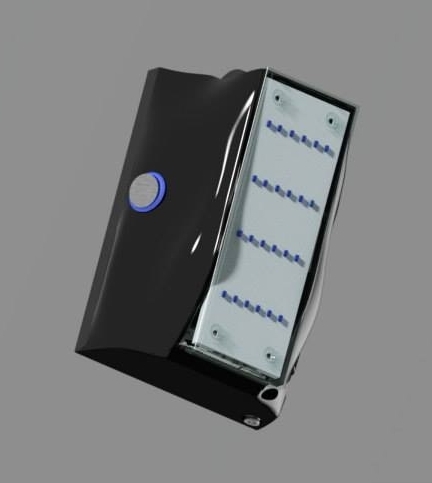 RoboTar is a Finalist in the 2014 Robot Launch. VOTE NOW to help RoboTar win the People's Choice Award! Are you one of these guitarists? You lost or never had use of one of your hands or arms but long to play guitar. You are a music teacher that would like to give your young students a new way to engage with music beyond simple percussion instruments. Children can play the guitar without the pain of learning to press strings with delicate fingers. You are an adult that wants to learn guitar or sing with accompaniment but don't have time or patience for the long learning curve required to form chords smoothly. You are a seasoned guitarist looking to expand possibilities... use Robo-tar to play rhythm in the open position while playing lead riffs further up the neck on the same guitar! We used this image to illustrate a new one-handed opportunity for guitar players. Whether you've never played guitar, or, you've played for years, the Blue Ahuizote Robo-tar is an exciting and innovative new way to play nearly any song on your guitar. 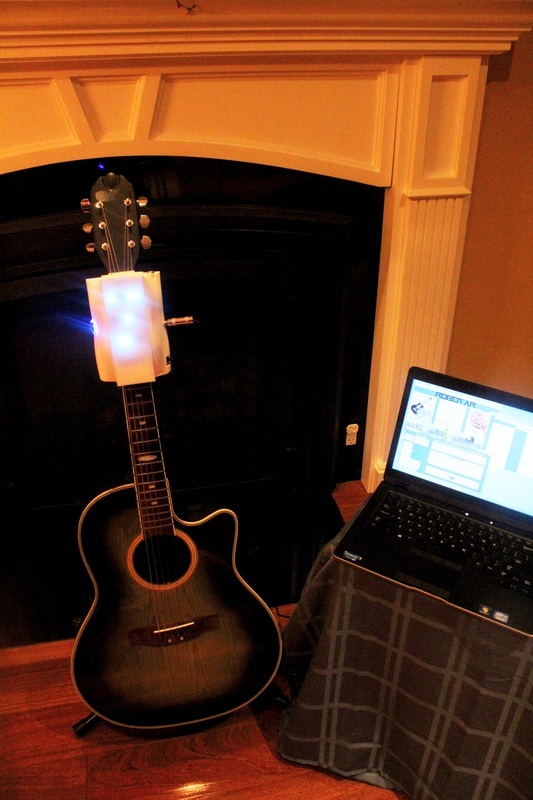 Robo-tar attaches easily and temporarily to the neck of a standard guitar. The player uses an app to choose a song they want to play or builds a new or original song themselves. Then the player cycles through each chord of the song leveraging a single foot pedal or push button option to move to each chord at their own tempo while strumming along with one hand... both right and left handed versions are available. Anyone can learn to play their favorite guitar tunes in one day. Life Upgrades supports United States Disabled American Veterans and the American Stroke and American Heart Associations. We are looking for opportunities to make this device available for those that have lost the use of one of their arms or hands due to stroke, personal injury, illness or in service to our country. Please contact us using the form below! We want to know you are interested! This product was developed with you in mind! Please let us know if you have any questions about RoboTar.